Taking its inspiration from Michel Foucault, this volume of essays integrates the analysis of security into the study of modern political and cultural theory. Explaining how both politics and security are differently problematised by changing accounts of time, the work shows how, during the course of the 17th century, the problematisation of government and rule became newly enframed by a novel account of time and human finitude, which it calls ‘factical finitude’. The correlate of factical finitude is the infinite, and the book explains how the problematisation of politics and security became that of securing the infinite government of finite things. It then explains how concrete political form was given to factical finitude by a combination of geopolitics and biopolitics. Modern sovereignty required the services of biopolitics from the very beginning. The essays explain how these politics of security arose at the same time, changed together, and have remained closely allied ever since. 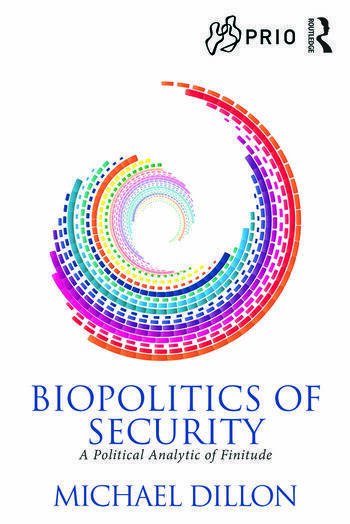 In particular, the book explains how biopolitics of security changed in response to the molecularisation and digitalisation of Life, and demonstrates how this has given rise to the dangers and contradictions of 21st century security politics. This book will be of much interest to students of political and cultural theory, critical security studies and International Relations. Michael Dillon is Emeritus Professor of Politics and International Relations at Lancaster University. He has written extensively on international political theory, continental philosophy, security and war and cultural research.